Also, presents a valuable experience for you to think of the value of defending the territory of Korea and national identity once more. 1. 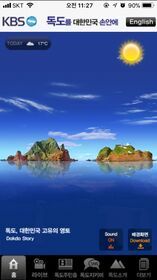 Download and Keep beautiful scene of Dokdo in your smartphone by touching the icon "sun" and "moon" on the right on top. morning to the glow of the setting sun, you can feel your overflowing love for your country. Also you can see the KBS News through the dokdo live. 3. 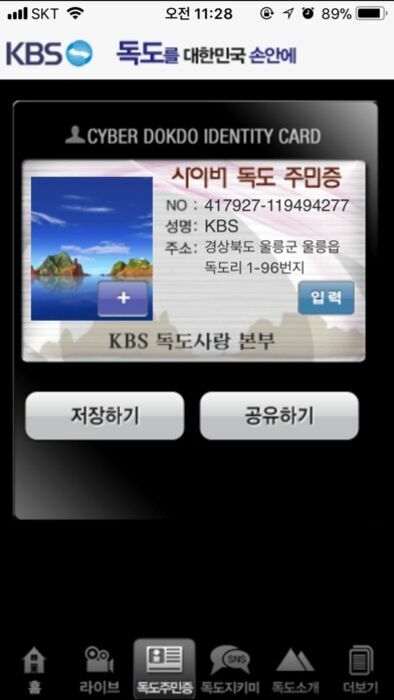 Cyber Dokdo ID card : Please become a resident on Dokdo island with the virtual identification card. 4. 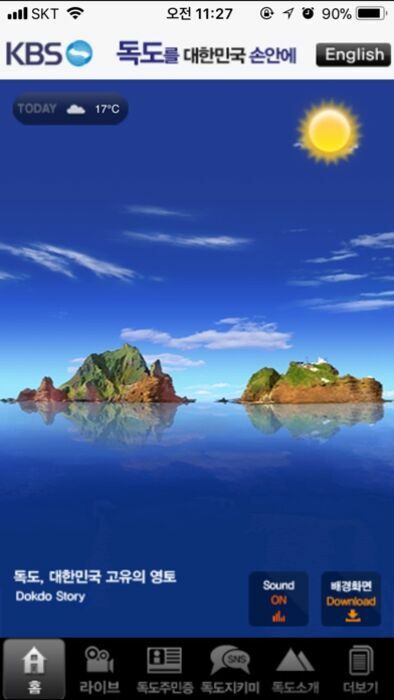 Info : Dokdo belongs the territory of Korea by geological and historical fact and international law. 5. 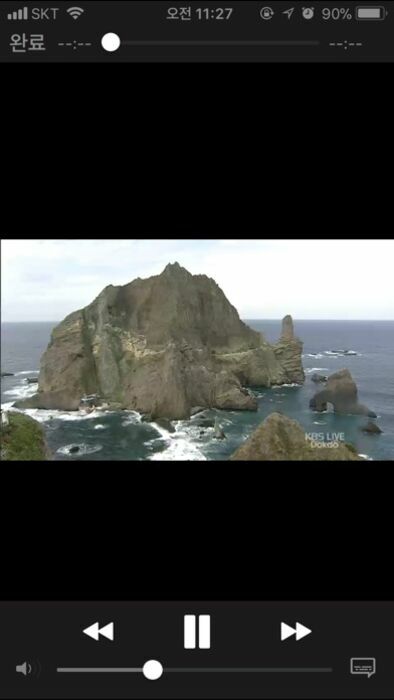 More: You can get the latest news, live video and images of dokdo and also join the tweeter as well. 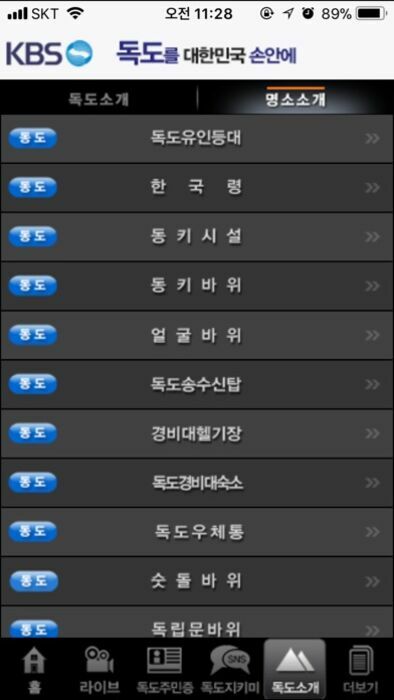 ※ Detailed information about app access rights.